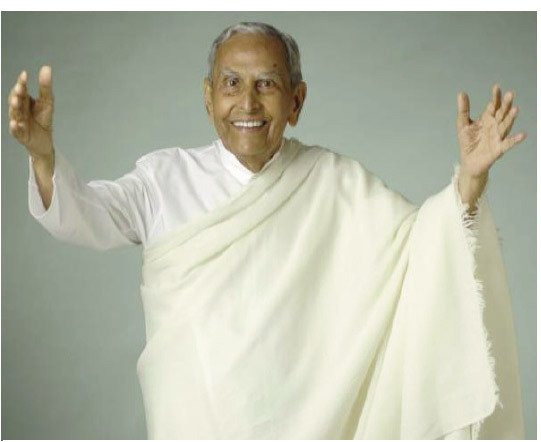 Dada J P Vaswani Like his uncle-guru, T. L, Dada J.P.Vaswani was a true and dedicated spiritual source of the Sindhis. He was 99 (he w o u l d have been 100 on August 2). He passed away at his home town, Pune, on July 12 after a short three-week illness. He had worldwide following. When in Delhi, he was with Dr. Gurmurkh Lakhani (Shanti Niketan), an educationist. Among his many ardent admirers, Hotu Wadhwani ( my eldest brother) was one, who migrated to Pune to be with him after retirement from the UP Government service. Dada was a genuine 'dada' to all Sindhis--men, women, young and elderly. He spoke slowly and his discourses and speeches on TV and in assembly were highly educative. He received many awards and rewards. In a foreword to the book 'Sindhi', he wrote: "To this day, the Sindhis remain a highly cultured and civilized people—enterprising, hard-working, industrious, full of business acumen, enthused by the spirit of faith and courage. Every Sindhi should be proud of the fact that he belongs to a philanthropic community with a global presence , ever ready to offer a hand of fellowship and friendship to people, wherever they are". Partition cost Sind heavily. This was because Sindhi politicians were weak. Had they been strong, all Sind would not have gone to P a k i s t a n .
Thousands of Hindus and Sindhi Muslims are living on 'Allah's land' in Sind and not in Pakistan. Postpartition, Sindhis are on themselves. They have no Godfather. Those, who achieved VIP status, like, Hashu Advani in Mumbai many decades ago and some others in Delhi and other centres have not helped the needy. Loss of state means virtual loss of language. Even in homes, Sindhi is hardly spoken. The language has not grown, although there are 52 alphabets, unlike 48 in Urdu and 26 in English. Sindhi academies have not promoted the language. They should have. 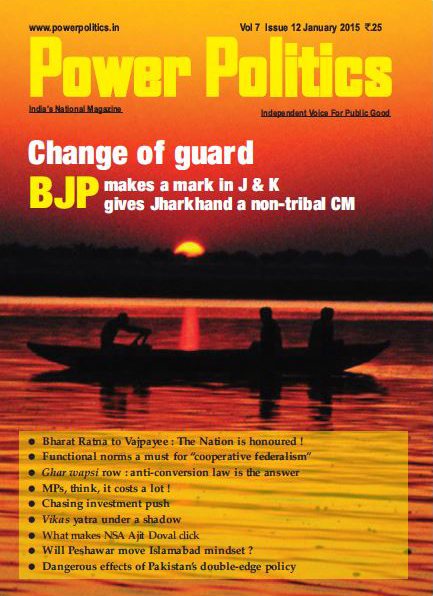 Dada Vaswani's contribution in promoting the cause of Sindhis was substantial. His passing away snatches away that source also. There is no substitute for his devotion and dedication. His words: "May I be a lamp that unfolds the light of love, of sympathy and service in the darkness of these days", remain true and noble.